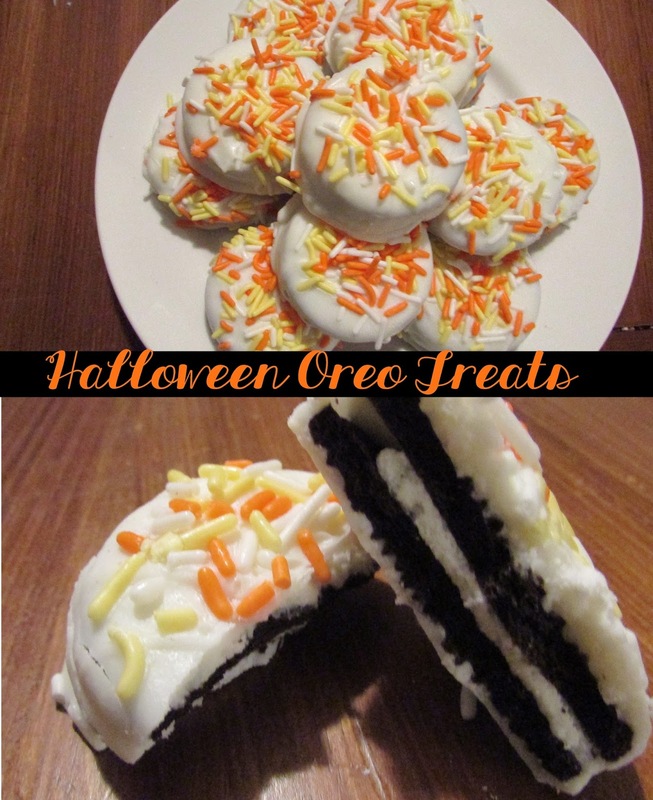 Melt the vanilla dip in the microwave and drop a couple of Oreo’s in at a time. 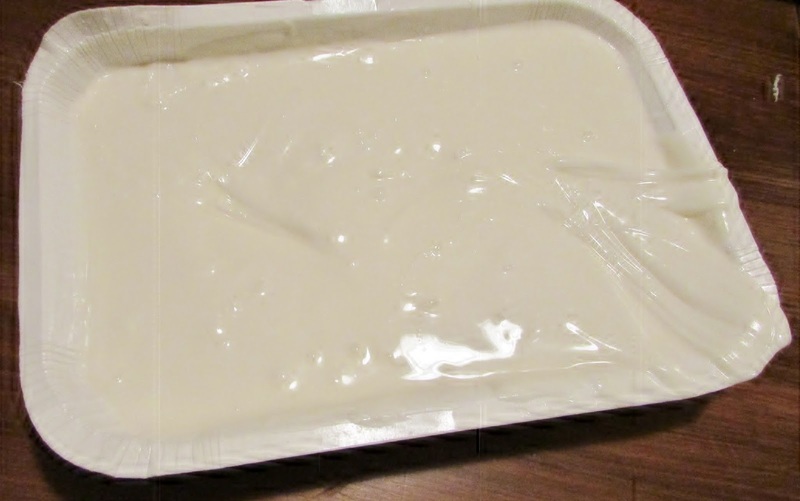 Flip them over in the vanilla dip to get them completely covered on both sides. 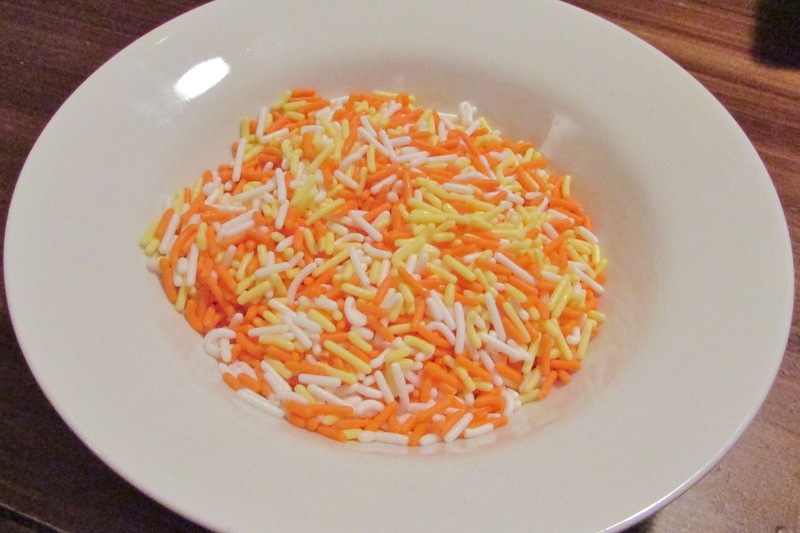 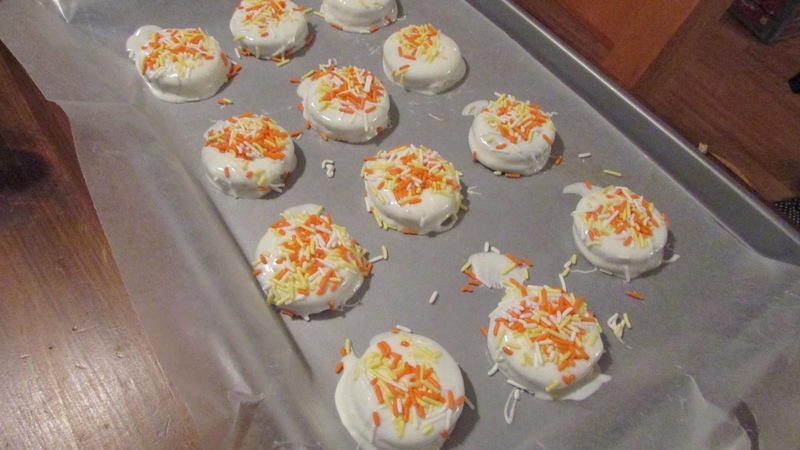 Let them let dry on wax paper and then add your sprinkles. 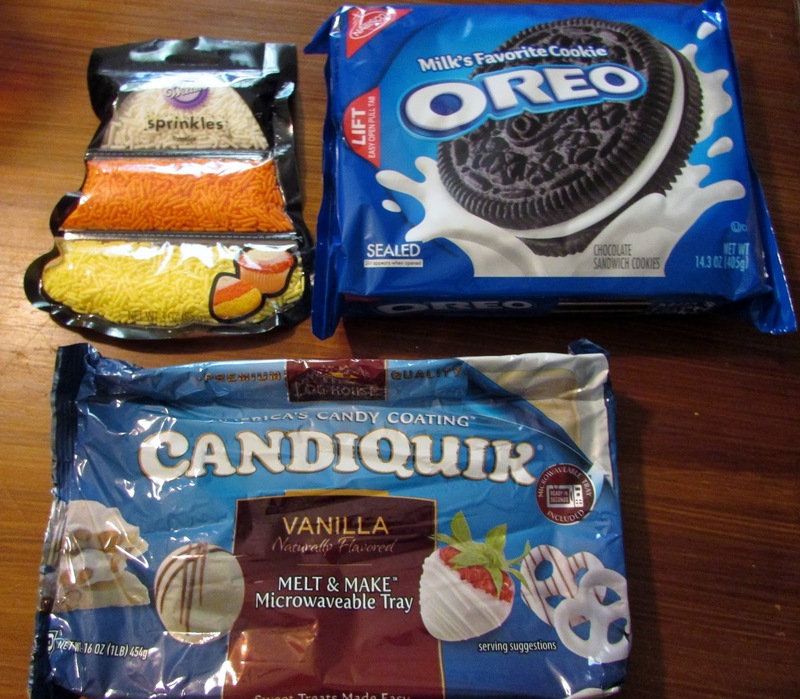 Keep going and covering all the Oreo’s or until you are out of the vanilla dip.